Regional Festivals Within 5 Days of Diwali - Agyaras, Vaak Baras, Laabh Pancham, Bhathru Dwithiya, Bahi Tika, Bhaubeej, Bhai Phota, Bali Padyam, Annakoot, Pratipad Padwa, Gudi Padava, Bestavarsh, Goverdhan Puja, Diyari, Bandi Chhor Diwas, Sharda Pujan, Thalai Deepavali, Karthigai Deepam, Balindra pooja, Badhausar, Kaumudi Mahostavam, Sukhsuptika, Deva Diwali, Chopda Pujan, Laxmi Pujan, Divili Panduga, Kali Puja, Kali Choudas, Roop Chaturdashi, Narakachaturdashi, Dhantheran, Dhanatrayodashi, Dhanteras, Yamadeepdaan, Vaak Baras, Agyaras, Tulsi Vivah. The reason behind the origin of Diwali is Still a Mystery, and it changes from region to region but the theme is universally similar i.e. Victory of Light over Dark, Knowledge over Ignorance, Good over evil. People enjoy climate changing around Diwali season days turning from Warmer to chilling winter. Diwali is not a single day festival, it is celebrated around five days starting from Krishna Chaturdashi to Kartik Shukla Dwatiya, all over the India. Diwali is celebrated by almost every community including Hindu, Jain, Sikh, Buddhist etc. for different reasons. Diwali is actually a five day celebration and people start planning many days before the Diwali season. You might know Diwali is entitled by various other names and there are more than 50 festivals celebrated with 5 days of Diwali festival. Patel and Vaishnav communities starts their Diwali festival with the Agyaras festival i.e. two days before the Dhanteras and four days before Diwali. Agyaras festival is celebrated on the 11th day of Ashwin month of Hindu calendar. And the main reason for this festival is to keep our all eleven senses in control. On that day people prepare their favorite snacks and savories, the allowed foodstuff is Fruits, Nuts, Roots etc. Also known as Govatsa Dwadashi and Guru Dwadashi and many local people who don't know about this festival refer is as Vaagh Baras. It is celebrated on the 12th dark day of Ashwin month. In some region people worship Cows and Calves. Business people clear their pending accounts ( khata) and don't make any new transaction using new ledger, while they use new ledger on Labh Pancham day for first time. Some people also worship ladies at their home and offer them new jewelry and new clothes. At some villages in Gujarat, people used to play a sport where some men color themselves in stripes representing as tiger and other in plain representing as cattle and people in stripe chase others. At the end of the sport they used to take food at the common place altogether. 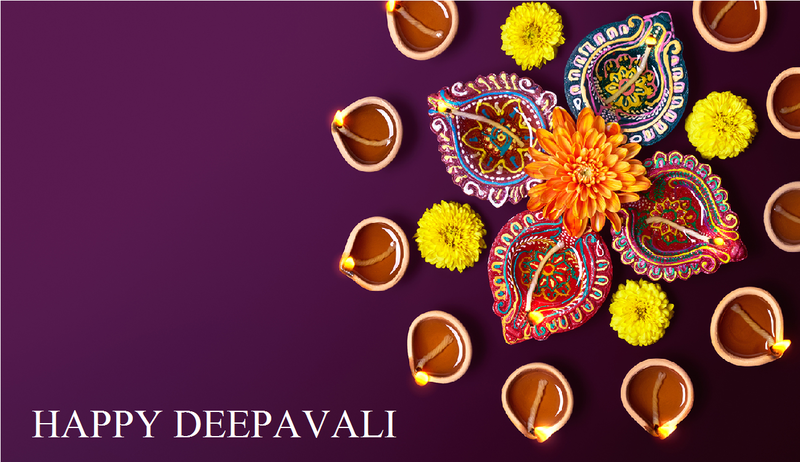 7 day Diwali festival is celebrated only in few regions of India and the first day of Deepavali festival actually starts with many festivals, Dhanteras festival is most popular among them. On this holy festival, fast is kept and people worship by lighting up an earthen lamp on the main entrance of their homes. People worship God Yamraj with the Jagger, water, rice and flowers. Yamraj is a name associated to a sixteen year old kid of King Hima, who was doomed for death but dedication of his mother brought him back and made him the God of Death. This holy day is also marked as a major shopping day in the Northern India, where traders and retailers put their stock on sale. People usually buy Diamond, Gold and silver articles, Aluminium, steel utensils, vessels and crockery items. A special ritual also known as Deepdaan, where every individual member of family lit an earthen lamp and float them in the rivers and ponds. Also known as Asweyuja Bahula Thrayodasi, where people buy new electrical and other appliances. People on the second day of Diwali festival, enlighten their home, business place and temples with the earthen lamps and Candles. Youngsters and Kids burst some fire crackers. This day is popularly known as Choti Diwali. This festival is celebrated in almost every South Indian state, where King Yama is worshiped to get over the fear of Demon Narakasura. People design effigy of Demon Narakasura and set it to fire. Later they take bath, eat food and burst crackers. In the north Indian region, the second day of Diwali is mainly known as Roop Chaturdashi. On the second day, People related to Hindu community take ritual bath and do meditation for gaining of magnetism and beauty. The second day is also known as Kali Choudas into many states, and on that day people do a gentle head wash with the application of Kajal extracted from the smoke of earthen lamp. The accreditation behind the Kajal is to stay sage from the Evil eyes ( Kali Nazar). The second day of Diwali in Bengal state is known by the Mahanisha festival where people pray to Goddess Kali for her blessings. People believed Ma Kali first arrived on the Mahanisha festival i.e. Mahanisha event is celebrated as their birthday. A popular festival celebrated in the Andhra Pradesh state. If you know about the stories behind the origin of Diwali, then you definitely heard about story of Lord Vishnu killed Demon king Narakaasura on the day before the main Diwali festival. Divili Panduga festival is celebrated for the victory of Lord Vishnu and people in Andhra Pradesh decorate their home with earthen lamps and design Rangoli at the entrance and celebrate with the crackers and fire rockets. The birth of Goddess Laxmi is assumed on the main Diwali festival, and on the evening of the same day she got married with the Lord Vishnu. So people pray Goddess Laxmi at Diwali night to receive their blessings, so the third day also known as the Laxmi Pujan day. Business people clear all their pending transactions, close their old ledger and present all their sale money at the footstep of Goddess Laxmi, and Lord Ganesha during Diwali Night at Chopda Pujan. The basic meaning behind Sukhsuptika is to "sleep with happiness", it is celebrated among Kashmiri Pandits. In the state of Andhra Pradesh the festival of Diwali is known as Kaumudi Mahotsavam. On this day in Gujarat, it is believed that Goddess Laxmi visit well lit homes, so people decorate their homes and business complex to their best with the flowers, lights and paper chains. And this day is known as Badhausar in Gujarat. People in south Indian states worship Lord Krishna and offering them oil at morning time and the third day of Diwali is also known as Balindra Pooja in south Indian states. People draw Rangoli (Kolams) at the entrance of their homes and in bramdas with powder of various colors at the morning and place earthen lamps and Diwali diyas at the boundaries. People also clean their homes and business complexes. Business people and traders do pujan before starting their new ledgers at the Diwali night and this pujan is especially known as Sharda Pujan. Sikh people celebrate Diwali as the Bandi Chorr Diwas festival and this festival originated from Guru Hargobind Singh ji when they successfully escaped from Mugal emperor Jahangir. Sindhi people celebrate Diwali festival by worshiping Goddess Laxmi and they celebrate it as by name Diyari. Mount Goverdhan, situated near Mathura city is worshiped on this day along with Lord Krishna, as they both saved the lives of people living at Gokul Village from the heavy rains. As people do on new year like wearing new clothes, buy new jewelry and gifts for family members. same happen this day at various places in India and this event is known as Bestavarsh. In some Bengali regions people refer Padava or Padavo as New year and Bengali people celebrate this event cheerfully. The event where King Vikramaditiya was chosen for the next king was the origin of this event and later on people celebrate that event every year entitled Pratipad Padwa. 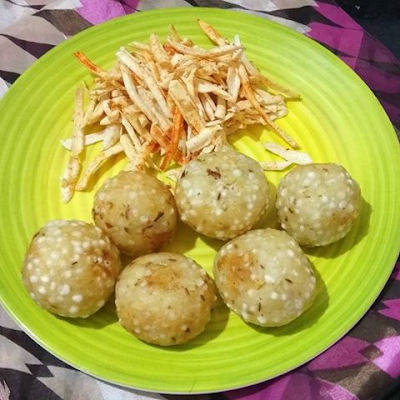 This event is celebrated over many north states where Annakoot prashad is offered in the temples at evening time. This event is the observance of episode where Lord Shri Krishna protected cowherd clan. The event Bali Padyan is celebrated over Karnataka and few other states, people believes the Demon king Bali come on earth to his subjects. 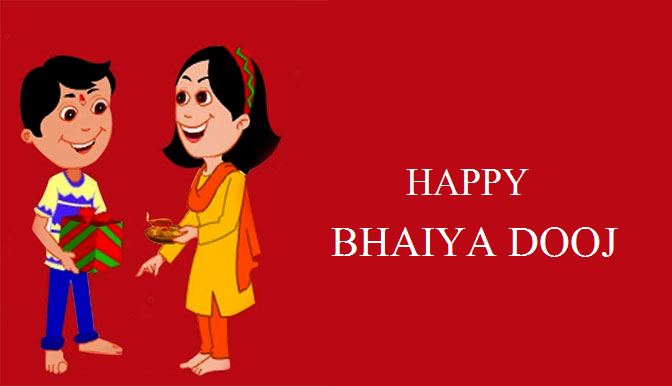 This day is popularly known by the name Bhai Dooj or Bhaiya Dooj, dedicated to the great sacred bond between every sisters and their brothers. People visit to their sisters and aunts and celebrate this huge family festival. On the fifth day ladies and girls keep fast and invite their brothers or visit their home to be felicitated. This event is celebrated in the Bengal region just 2 days after the Kali Pujan. Maratha people or Maratha speaking community celebrate the fifth day as the Bhav Bij festival or Bhaubeej. On the fifth day some tribes at Nepal pray God Yamraaj to bless their kids and family with prosperity and long life. 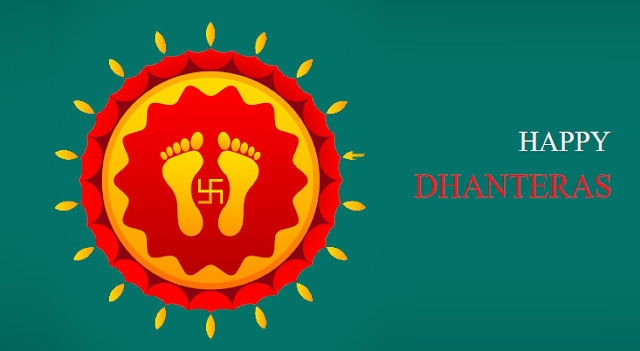 The Bhai Dooj is also known as Yaam Dwithiya, a day when God Yamraj visit his sister. Also known as Saubhagaya Pancham and Lekhani Pancham celebrated in many states, where people start new ledger on this day. People prepare various dishes this day and they dressed up Tulsi Podha with red dress like a bride and celebrate her marriage.